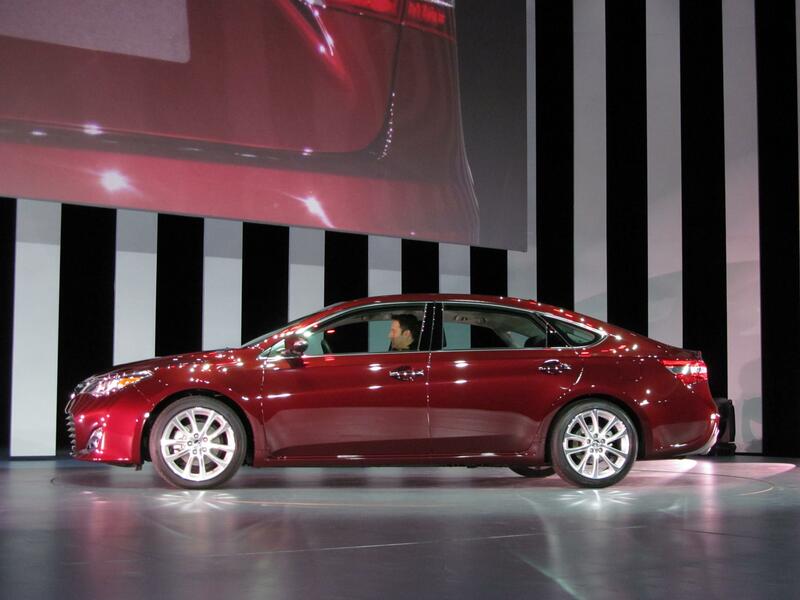 Toyota is adding an optional hybrid powertrain to its redesigned 2013 Avalon large sedan. The Avalon, unveiled at April’s New York Auto Show, is supposed to take Toyota in a new direction, paving the way for cars that are less boring, and more fun to drive. Making the Avalon a hybrid probably won’t increase its fun factor, but it will be a first for the big Toyota. The Avalon’s hybrid equipment comes from the Camry and Lexus ES300h hybrids. Under the hood is a 2.5-liter four-cylinder gasoline engine, which runs on the Atkinson cycle. It is combined with two electric motors, which get their power from a 244.8-volt nickel-metal hydride (NiMH) battery pack. Toyota has had so much success with its NiMH-powered hybrids that it has not made the switch to lithium-ion batteries like other companies. Total system output is 200 horsepower, which is sent to the front wheels through a continuously variable transmission (CVT). Toyota says the Avalon hybrid will return 40 mpg in the city and 39 on the highway. It will also do 0 to 60 mph in 8.2 seconds. The Avalon hybrid will be able to travel up to one mile on electric power, as long as the driver doesn’t exceed 25 mph. On paper, the Avalon has a slight advantage over the more rakish Hyundai Sonata hybrid, which gets 35 mpg city and 40 mpg highway. Despite its size, the Avalon is also faster than the Hyundai, which does 0 to 60 mph in 9.5 seconds. However, the Sonata (and its equally handsome Kia Optima sibling) is better looking than the Avalon, and that matters when a company uses evocative styling as a selling point. Speaking of lookers, Ford says its 2013 Fusion hybrid will outperform the Camry, which gets roughly the same mpg as the Avalon. Size should be the Avalon hybrid’s biggest advantage, since it is a full-size sedan while the Hyundai, Ford, and Kia are midsize. However, at 111 inches, the Avalon’s wheelbase is only one inch longer than the Sonata’s and Optima’s; their passengers won’t exactly be cramped. The non-hybrid Avalon will be powered by a 268 hp 3.5-liter V6, mated to a conventional six-speed automatic. This engine carries over from the old Avalon, and Toyota says it will propel the new car to 60 mph in 6.9 seconds. The Avalon was meant to take Toyota out of its beige period; it was a response to CEO Akio Toyoda’s demand for “more exciting vehicles.” The result is an improvement over the old Avalon, but that does not put it ahead of the competition.